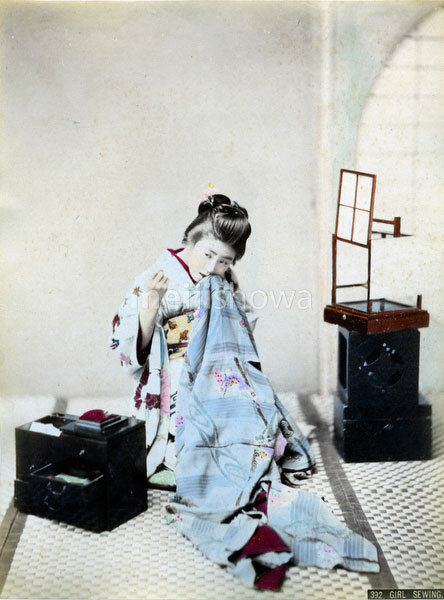 A young Japanese woman in kimono and traditional headwear is sewing. A sewing kit with a pin cushion stands on the floor. On her left is an andon lamp.